NIGERIAN ladies have been warned to be careful of whom they follow and relate with especially in this critical time of the year. The warning is coming following the gruesome killings of two young ladies by men suspected to be ritualists in Anambra. According to Prince Chijioke, the two ladies were found dead on Wednesday morning (yesterday) with their private parts and breasts cut off in Umunze, Orumba South Local Government Area of the State. Their naked corpses were left abandoned by the roadside to the shock of the villagers. 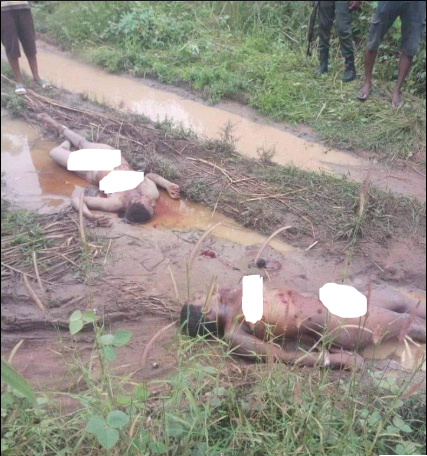 Some months ago, a 30-year old woman was found dead opposite Saint Mary Catholic Church, Obieze village, Ifitedunu in Dunukofia local government area of Anambra State. The deceased, identified as Chinyere Okoli, was suspected to have been strangled to death by unidentified persons who abandoned her in the pool of her blood.